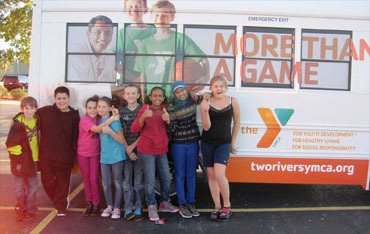 Children sponsored by South Moline Township in the Y Winner's Program. An important function of the township government is to provide General Assistance to town residents who are going through difficult times in their lives. Assistance is provided according to adopted written standards by the Township Supervisors of Illinois and is applied consistently to all those who apply. Applicants must meet the income and asset guidelines as established in the written standards. Applicants must be residents of South Moline Township, be age 18 or older, and either a United States Citizen or Legal Resident. Each applicant will be asked to complete and sign an application for assistance and provide necessary documentation before assistance can be issued. Assistance is issued by appointment only. To apply for assistance, call or stop by the General Assistance Office at 2521 53rd Street, Moline IL 61265 Monday through Friday 9:00 am – 12:00 pm and 1:00 pm – 4:00 pm. to request an application and the required documentation list. Once a client is eligible for General Assistance vouchers are available up to the grant amount for rent, food, utilities, clothing, personal items and/or household supplies.